We know wedding planning can be extremely stressful. Especially when it’s a destination wedding! Well, we’re here to end your wedding planning woes because we’ve found just what you need - a wedding planner. One that specialises in destination weddings. All you need to do is book them and continue watching netflix in peace - your stressful wedding planning is now taken care of! How awesome does that sound. Hours of GOT without having to worry about whether those tulips really do match your lehenga! Touchwood Group handles it all - from managing each service, to entertainment for your sangeet night to having the perfect decor ideas to anything else you want. What’s more is they have award-winning ideas for creative design and decor to make your big day all the more memorable. What is Touchwood Group about? Touchwood Group is an event management company that specialises in destination weddings in India as well as abroad. They’ve been around for 20 years, right from when wedding planning and the sorts were relatively new in the Indian market. So you can safely say that their experience and knowledge in wedding planning is just what one needs. They have won numerous awards for their creative, design and production work and continue to raise the bar in the wedding industry. Today, they have over 40 staff from different professional backgrounds- a broad mix of specialists, from architecture to theatre design, from graphic design to logistics. That makes for an incredible eclectic mix of talent and energy under one roof. What all do they handle? They have a collection of personalised and innovative services to turn your dream into a reality. You get to customise what you want and they plan and deliver exactly that. Indian weddings aren’t complete without music and dance. Right from mehndi to sangeet to wedding, they provide you a wide choice of options for each. They also put together themed sequences. A theme analogously serves as a destination for your event. 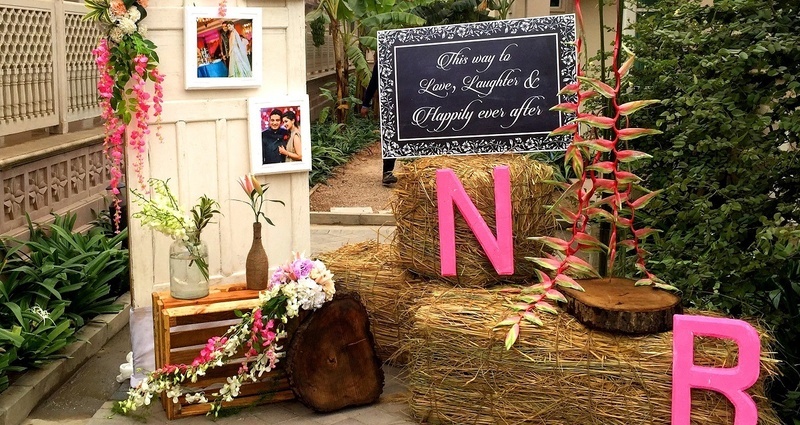 They provide brilliant and beautiful themes to go along with each event. They have the expertise to carry out each personalised demand effectively. The event management company not only handles weddings, but all corporate events as well. Well? They sound pretty cool and god knows, you don’t need the stress of wedding planning on your shoulders. Book them already!